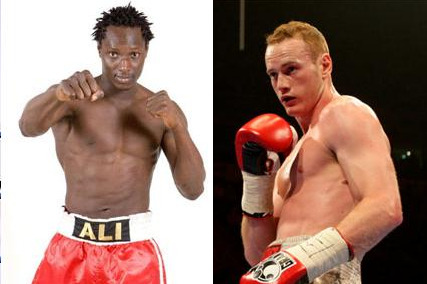 Frank Warren Promotions won purse bids in Rome for the vacant EBU supermiddle between George Groves, 16-0, and Mouhamed Ali Ndiaye, 22-1, with an offer for 111 150 Euro. Italian OPI 2000 bid 87 717 Euro. Frank Warren Promotions will announce date and site at a press conference on Monday but Groves will of course get home advantage against a dangerous opponent whose sole loss - against Dane Lolenga Mock in a EU title fight - was very disputed and the EBU in fact ordered a rematch that however never took place. The title was left vacant by James DeGale. Italian OPI 2000 won the purse bids in Rome for the fight for the vacant EBU jr welter title between Lenny Daws, 25-2-2, and Michele Di Rocco, 34-1-1, with an offer for 67 717 Euro. Hennessy Promotions bid 61 200 Euro and Roundzero from Italy finished third with a bid for 50 021 Euro. The title was left vacant by Denis Shafikov. EC Box Promotion based in Hamburg, Germany, will promote a big show in Galati, Romania, February 22, writes figosport.de. Headlining is the IBF eliminator (for the # 1 position in the ratings) between cruisers Aleksander Alekseev and Garret "the Ultimate Warrior" Wilson. In the co-feature heavyweight Christian Hammer, who hails from Galati, will take on an opponent to be announced. EC have strong support from the city of Galati and mayor Mariusz Stan is said to be very interested in boxing. Further support comes from former WBO welter champ Michael Loewe, who retired undefeated when persistant injuries made it impossible for him to continue boxing. Loewe is from Romania but fought as a pro for Universum in Hamburg.